This time I wanted to go one step further. 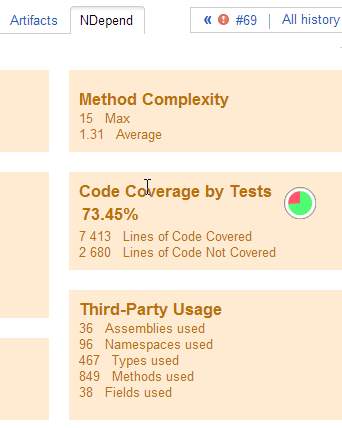 Something to note is that to be able to use code coverage NDepend needs the pdb files, this is why we have another artifact named PDBs.zip. And finally the third is our software with the exe and dlls. We are extracting the exe to a NDepend folder and all dlls out of the archive Libs folder to the same NDepend folder. 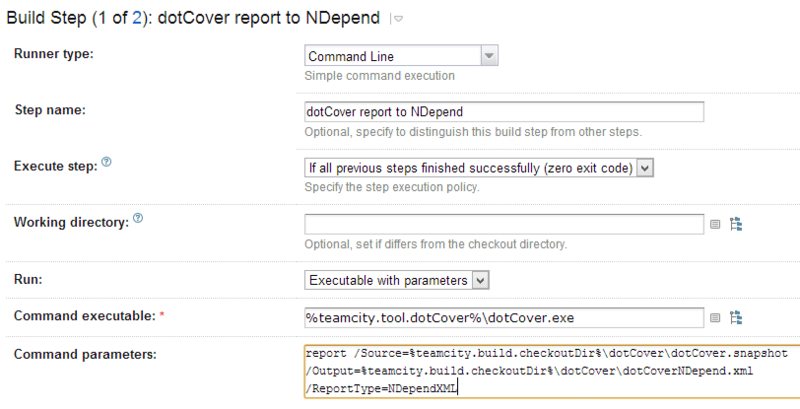 We do the same for the pdb files so that NDepend can use the code coverage data. Finally we extract the dotCover.snapshot to a dotCover folder. 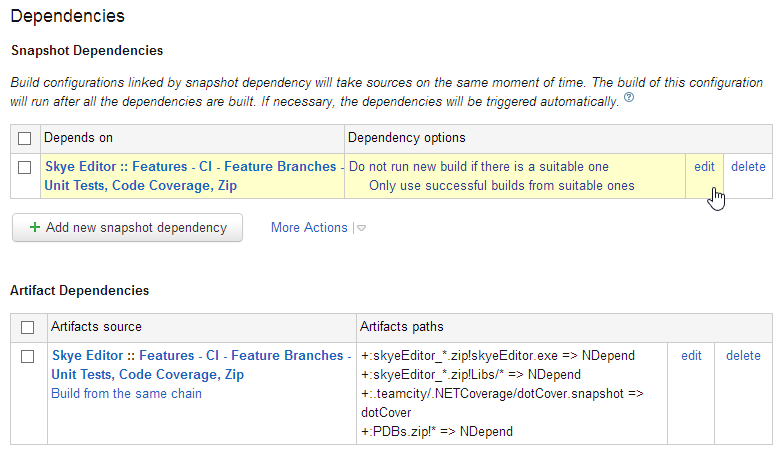 Then the issue we had was that the dotCover.snapshot file is not of the format that NDepend is expecting. 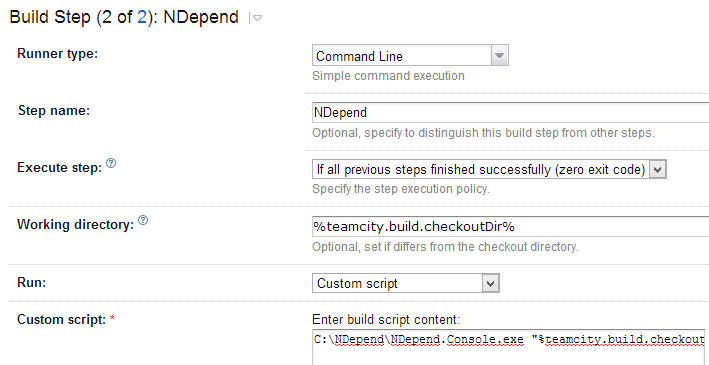 So after that build first step we have a new converted file; dotCoverNDepend.xml which can be consumed by NDepend. Thanks to Yegor for the discussion which greatly helped as always! 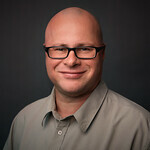 And also to Ruslan which also helped through the post on the jetbrains forum. 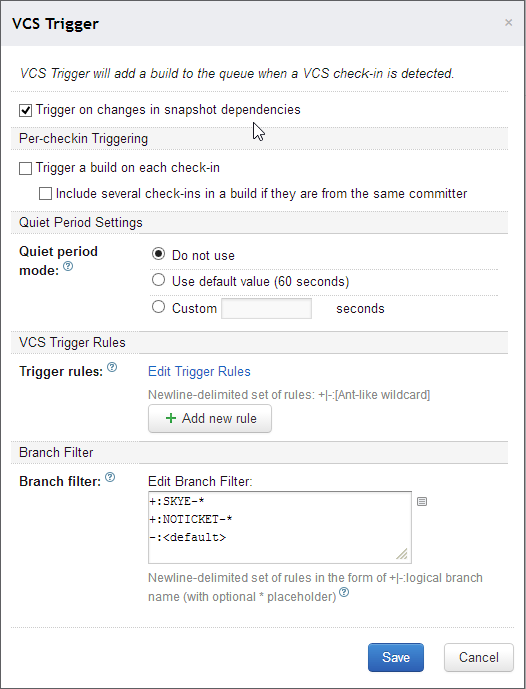 And finally thanks to Patrick who introduced really fast the /CoverageFiles in NDepend, so do not hesitate to give feedback using the new NDepend user voice.